It will happen; it's just a matter of time. How long? One decade possibly is my prediction before Bouyon completely overhauls Calypso and then it will become merely a staged event as is Bele, Quadrille or Cadence music. It would be to our own folly to believe that Dominica will be insulated from Calypso's demise as has occurred in every regional territory. Even the great Mighty Sparrow had to succumb to Soca pressure from Montserrat's Arrow and eventually Super Blue who introduced the wave craze. Yes, the same fears were conveyed and sentiments expressed by purists and the more mature among the population of Trinidad and Tobago. Now their Calypso show can hardly amass 2,000 people whereas their Groovy and Power Soca monarch competition, which I had the opportunity to serve as overseas judge a decade ago, had an audience of over 15,000 on the Savannah. This is the Caribbean's reality and soon Dominica's, even while the generation of the 60s and 70s depart and a new one, those born in the late Nineties onward, are gravitating towards their Bouyon and there is frankly nothing wrong with that. What makes the music even more attractive is the infectious drum-machine- driven music which features traditions such as the conch-shell, accordion and tok-tok. The music is free and does not tie one down to singing in key, harmonization far less good lyrics. In fact, you don't even need to be a player of instrument since computer skills can manipulate chords, keys, tones, voices to perfection. What the computer is unable to do thus far is write a good song and so they will be found lacking in this area. The Dominica Calypso Association (DCA) is causing the Bouyon take-over simple by not having attractive prizes (the Monarch is still being paid $20,000 for two decades now). Imagine you have to go through the Eliminations, late practices every night at Elmshall or Calypso house, face the harsh weekly scrutiny of fans, critics such as Carlisle, Cecil and crew, learn your lyrics, practice to be flawless in your performance and go through three different stages before the Finals which you are never sure of making unless your name is Dice, Webb or Bobb. Suppose you have attained a Finals slot, you are paid $5000 from which you have to pay the studio for recording the song, players of instruments, back- ups, props, the writer/ composer; if you don't place one can hardly earn $2000 for all this effort. Now compare that to a Bouyon participant with just one song; no preliminaries, no formal scrutiny of lyrics and one can almost say anything because it is not as structured as Calypso. You win and, as with a few years ago with an attendance of less than a quarter of the Calypso Finals, the prize money was $15,000 stress-free money. Ah, that is what will attract a young artiste; the chants, glitz and glamour and much less work for a better purse. You can have one verse and chant right through, forget lyrics, leave out words, get the audience involved, if your composition lacks structure it does not really matter once you can get your audience into a frenzy. It's about the music, the flair and sensation, an appeal to the feet, not necessarily to hearts or minds. 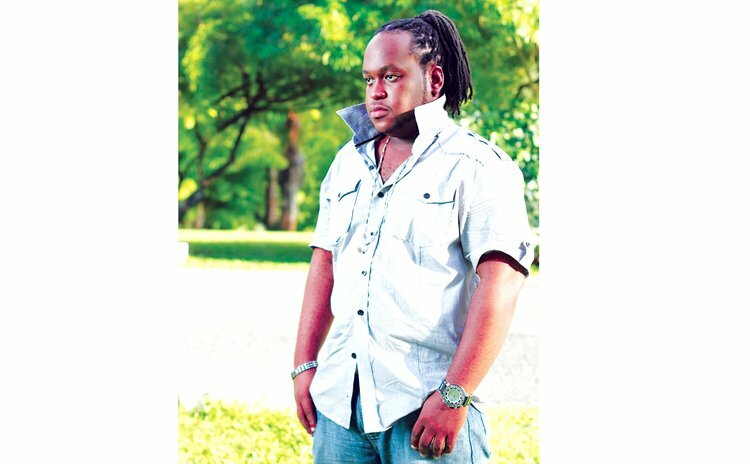 Well, the youth may have a point to prove after all because nine crowns and about 26 Calypsos later none have really received the attention or recognition that most artistes deserve. With one song "Famalay" Bouyon is getting regional recognition, gaining acceptance and after 30 years of Calypso competitions, on the other hand, no one song has received the acclaim of a Conch Shell, Balance Batty, or of leading Bouyon performers Triple Kay, and now it's "Famalay". So much so that the Vincy government has rolled out the red carpet to Dominica producer Dada Lawrence and home-town boy Skinny Fabulous for the composition which won the Road March in Trinidad. In our myopic view it would not win in Dominica but you know what we say about prophets not gaining acceptance in their own country? Like Ophelia, I am sure Dada will get his flowers from Dominica long after St Vincent and other islands have bestowed it on him. So what is the DCA doing abut forward planning and marketing? We don't want to pressure the new executive albeit most of the old heads are still there having served for well over two decades. The new boss seems to be a visionary and he is willing to be innovative. But weeks after carnival there are no DVDs, Flash Drives, website or anything in place that one could purchase online or otherwise; and it has been so for well over decades. We have already established that the prize money is a joke and cannot compensate or reward for competitors' efforts. So how and who is promoting Dominican Calypso? Why don't the DCA employ a truck and Hi Fi to play Kaiso music all day on the road? Why don't the authorities designate times for the playing of Calypsos only in an effort to sustain the art and its importance? Don't blame Emile or anyone –counter and fight back as this art form has for too long been resting on the belief that "Dominicans like Calypso". It's a myth-we don't really like Calypso; out of season listen to the cars, go to the parties, listen to the radio, check the sales- it's the competition that most people crave. There seem to be reluctance by the DDA to have calypsonians on the WCMF list of performers. Maybe because Dice as Monarch is deemed too critical with his lyrical content to the country's invitees. In the absence of a valid explanation, then more compositions such as "Fire go Burn Dem" will continue to earn the crown. The Calypso beat no longer appeals to most young people, but, just like how Jackson, Intruder, Lander, Lloyd and a few others have instilled a love and appreciation in their children for the art form, so too the nation and the various institutions need to do the same to ensure continuity.